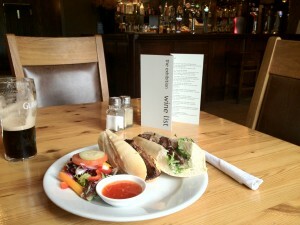 Looking for a nice pub to have a pub lunch in? Want a pub close to St. Ives but with easy parking? Want a choice of hot & cold, small or larger meals? We have a lunch menu & daily specials menu. We always have a great pudding menu available. We have a range of soft drinks, teas & coffee. We have an extensive wine list & real ales. To book at The Exhibition in Godmanchester call us on 01480 459134. 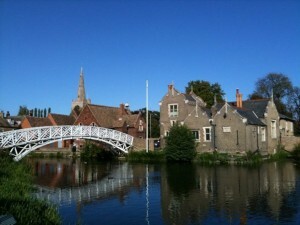 We are about 4 miles from St. Ives and very easy to find from the A14. Staying at The Marriott Hotel in Huntingdon? We have had loads of guest lately that are staying at The Marriott Hotel in Huntingdon which is a short drive along the A14 from us here in Godmanchester. 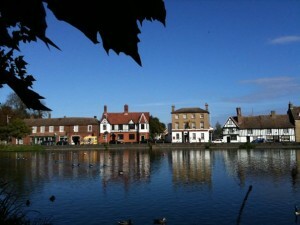 If you are staying at The Marriott and fancy exploring the local area then Godmanchester is well worth a look. 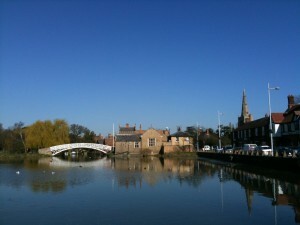 Godmanchester sits along the river Great Ouse and has a famous replica of a Chinese Bridge on The Causeway. So if you are looking for a pub & restaurant near the marriott in Huntingdon then The Exhibition is probably the easiest to get to. Leave the Marriott and head along the A14 towards Cambridge. Leave the A14 at the next junction signposted Godmanchester. Take the third exit at the round-a-bout signposted Papworth & Royston (A1198). Pass the petrol station and turn next right into Godmanchester. Drive straight down this road until you see The Exhibition Pub on your right hand side.